Tom Clancy's The Division 2 is rated 4.5 out of 5 by 2689. Ubisoft learned a lot of lessons during the evolution of its first looter-shooter, The Division, which steadily blossomed into a game that maximized its potential and earned an adulating fan base. But transitioning from of a fully fleshed-out live service to a sequel is a harrowing road filled with many pitfalls, as Bungie experienced with the bungled Destiny 2 launch. I'm happy to report that The Division 2 heeds those warnings and skillfully sticks its landing, offering a wealth of engaging content that should keep players invested long after they finish the campaign. The original Division earned detractors for its spongy combat. The cognitive dissonance of needing to unload a full clip into the head of a garbageman was hard for some to shake. This problem is largely diverted in the sequel; the time-to-kill is much shorter for basic enemies, the crazed rushers are often hopped up on some stimulant when they charge at you with wild abandon, and the biggest baddies are covered in armor you need to pick away at before revealing their meaty centers. The enemy A.I. doesn't always make smart decisions, but when they coordinate and flank, the combat comes alive in a way that rivals the best shooters available today. The large variety of enemies creates a strategic layer that keeps engagements exciting well into the endgame. Intense satisfaction comes from a well-placed turret mowing down a legion of enemies or landing a shot on a suicide bomber that takes out other baddies in the vicinity. The main shortcomings that persist from the first game are the weak melee attacks, overly complex grenade-throwing, and a finicky cover system. Sometimes leaning out the side of cover unintentionally slides you into an exposed position, and the stickiness can mistakenly pull you into cover when performing evasive rolls. The combat also shines thanks to Ubisoft's fantastic mission designs. 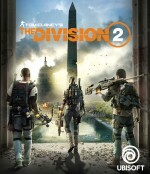 The star character of The Division 2 is Washington, D.C. itself. The game takes you to so many historical landmarks, museums, and other popular destinations, the only thing missing is the sightseeing bus route. I battled through the U.S. Capitol, depleted enemy ranks around the Washington Monument, and ventured so many museums I started to think of the game as tourism with guns. It even has a photo mode for good measure. Many of these extended fights are memorable thanks to their surroundings; a planetarium firefight and the jungle skirmish in a Vietnam exhibit stand out in particular. These battles are best experienced with a coordinated group of four agents, but a solo run is also viable provided you move and act deliberately.